Critically acclaimed author Jabari Asim and Caldecott Honor-winning illustrator E. B. Lewis team up to give readers a fascinating glimpse into the boyhood of Civil Rights leader John Lewis. Even as a very young boy, John Lewis knew he wanted to be a preacher when he grew up. He wanted to be the kind of leader who could use his passionate speeches to stir hearts to change, minds to think, and bodies to take action. But why wait to grow up? 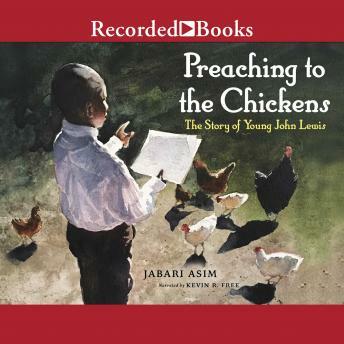 At five years old, when he became the official caretaker of the sixty chickens on his family's farm, he realized he had a wonderful audience to practice on-and they became this brave Civil Rights activist's first flock, content under his watchful care and riveted by the power of his words.